If landscape architect Richard Haag had stopped with Gas Works Park and Bloedel Reserve in Seattle, Washington, “these two projects alone would have assured his place in American landscape architectural history,” Marc Treib asserts in the forward to the new book, The Landscape Architecture of Richard Haag: From Modern Space to Urban Ecological Design, by Thaïsa Way, ASLA, a professor of landscape architecture at the University of Washington. Yet these two projects are but a fragment of the works that have earned him fame in the realm of urban ecological design. In the book, Way places Haag’s nearly five decade-long careers as a landscape architect, activist, and teacher in the context of “changes in the practice of landscape architecture,” ultimately providing a lens through which landscape architects can study urban ecological design. Perhaps much of Haag’s success can be attributed to the many contrasts he created for himself in his professional life. Though he had a deep tie to his rural hometown, and always sought to return to it, he pursued his interests in Japanese design through a Fulbright scholarship. Way’s portrayal of Haag’s time in Japan is enough to convince any budding landscape architect to study in Kyoto. He then jumped on the bandwagon of California residential design in the early 1950s and finally headed to the Pacific Northwest where he made a name for himself. He is portrayed throughout the book as a highly-adaptable individual whose design style closely follows suit. 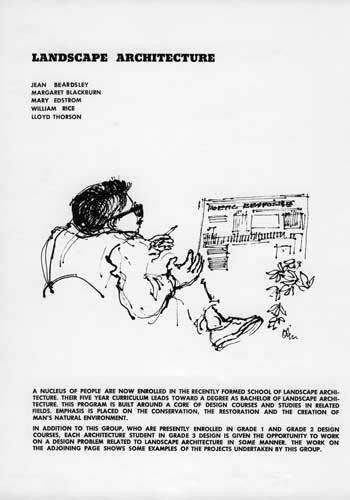 Way notes that Haag’s teachings in the classroom at The University of Washington, where he founded the landscape architecture department, emphasized landscape architecture as not only a profession, but a life perspective. “In the 1960s, the practice of landscape architecture as a civic engagement that addressed growing concern for the environment and cultural practices offered one of the most exciting opportunities in any design field,” Way writes. 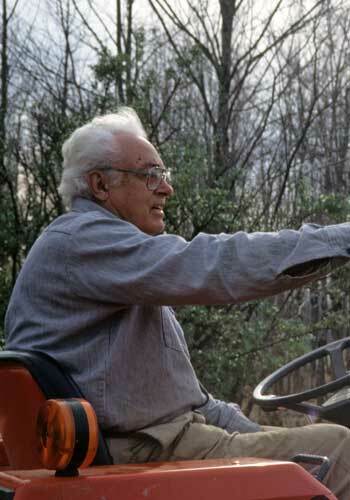 Though Way states it was not necessarily her intention to celebrate Haag’s work, it is difficult not to celebrate a landscape architect who has made such significant contributions to the field. 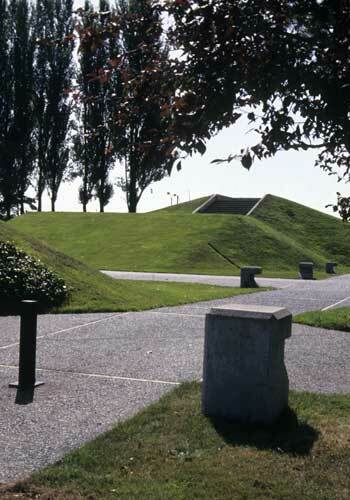 Of the many projects highlighted in the book – entire chapters are dedicated to Gas Works Park and Bloedel Reserve – some of the Haag’s more fascinating and less recognized contributions are his dedication to the Pacific Northwestern landscape and his use of landform as art. With his interest and training in Japanese design, Haag was uniquely suited to practice in the Pacific Northwest where there was a Japanese character to both the architecture and landscape architecture. Haag has created hundreds of residential gardens in the Pacific Northwest from Seattle to Vancouver to Portland, Oregon. While these gardens are not only expressive of Pacific Northwestern regionalism, they are also reflective of Haag’s own design intentions. The result is an identity intrinsic to both the landscape and the designer. To say it another way: Haag was inspired by the Pacific Northwest, and the style we now consider pervasive there is undoubtedly Haag-inspired. 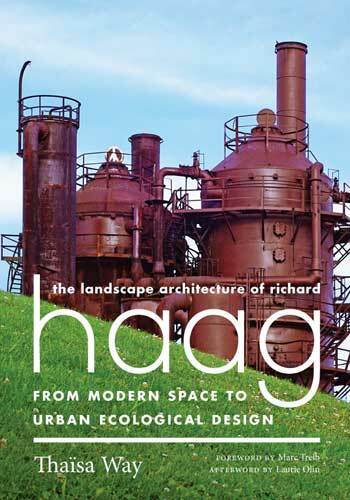 If anything, Haag’s thinking and experimentation related to remediation and reclamation will only become increasingly important to a post-industrial society, making this book, and a deeper consideration of his novel design thinking, a necessity for all landscape architects. Sounds like a great look into the work of Richard Haag! He definitely has a unique legacy, one that I hope influences people for a long time. Thanks for sharing this!